Lee.org » Blog Archive » A Glorious Cheese Weasel Day! A Glorious Cheese Weasel Day! 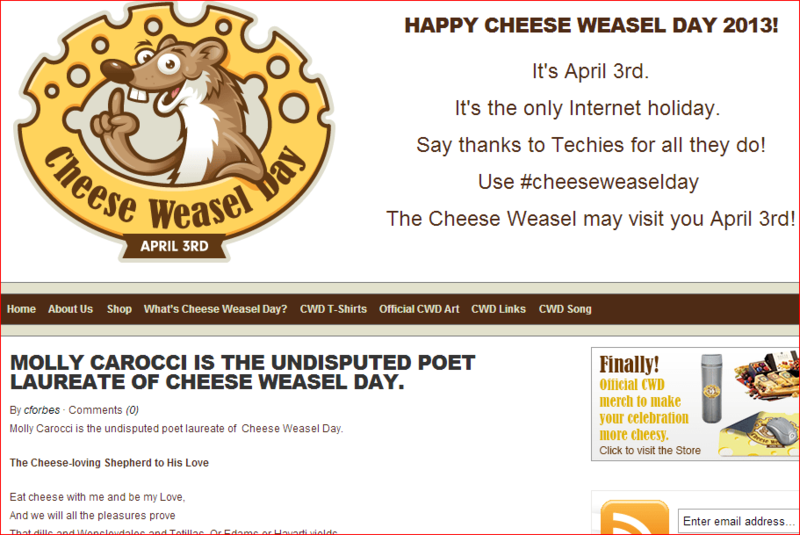 This is completely amazing, my good friend Molly Carocci has received the highest honor possible for a civilian, she has been appointed Poet Laureate of Cheese Weasel Day by the esteemed Cheese Weasel committee! Visit CheeseWeaselDay.com to read the whole story! I’m honored to see that the esteemed committee discovered Molly’s poetic talents from my own blog!